Since his second prize in the international ARD competition in Munich in 1986 Reinhold Friedrich has been present on all important stages of the national and international music scene. His spectrum goes from the latest solo compositions to ancient music and its historical original instruments, such as the baroque trumpet and the keyed trumpet. In 1982 he debuted at the Berliner Festwochen performing Luciano Berio’s “Sequenza X” and 1994 at the Musikverein in Vienna playing Joseph Haydn’s Concerto on the keyed trumpet. Reinhold Friedrich has played with Capriccio Basel, the Orchestre des Champs-Élysées or the Vienna Academy on historical original instruments as well as premiered works of composers like Wolfgang Rihm, Sir Peter Maxwell Davies, Rebecca Saunders, Hans Werner Henze, Nicolaus A. Huber, and Adriana Hölszky. The concertos “Eirene” by Herbert Willi and “Nobody knows de trouble I see” by Bernd Alois Zimmermann (recording awarded ECHO Classic) form important parts of his wide-ranging repertoire. As a solo player, he performed with ensembles such as the Berliner Barock Solisten, La Stagione Frankfurt, Wiener and Basler Kammerorchester, Bamberger and Wiener Symphoniker, Orchestre Philharmonique de la Radio France, Deutsches Symphonie- Orchester Berlin, Royal Concertgebouw Orchestra, BBC Symphony Orchestra and German Radio Orchestras of the NDR and HR. These performances were conducted by, among others, Claudio Abbado, Semyon Bychkov, Dennis Russell Davies, Peter Eötvös, Reinhard Goebel, Martin Haselböck, Philippe Herreweghe, Christopher Hogwood, Eliahu Inbal, Krystjan und Neeme Järvi, Dmitri Kitajenko, Sir Neville Marriner, Ingo Metzmacher, Jonathan Nott, Kazushi Ono and Hans Zender. 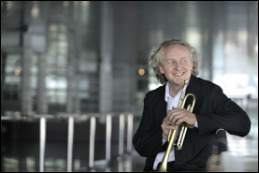 ​Since its founding in 2003, Reinhold Friedrich is a permanent principal trumpet of the Lucerne Festival Orchestra and artistic director of the Lucerne Festival Orchestra Brass Ensemble. His recent partners in the field of chamber music are Eriko Takezwa (piano), Robyn Schulkowsky (percussion), Martin Lücker and Sebastian Küchler-Blessing (organ). Since its foundation in 2013, he performs in the ensemble “L’éventail de Jeanne” together with Claudio Bohórquez (violoncello), Sascha Armbruster (saxophone) and Eriko Takezawa (piano). In the past seasons Reinhold Friedrich performed in China, Denmark, France, Great Britain, Canada, Latvia, Sweden, Spain and Thailand with ensembles like the Berliner Barock Solisten, Musica Angelica Baroque Orchestra Los Angeles, Orchestre symphonique de Québec (Fabien Gabel) and the orchestra of the Opéra National de Paris (Matthias Pintscher). He is now intived to perform at the MDR Musiksommer (with organist Iveta Apkalna), with the Taiwan National Symphony Orchestra, Danish National Symphony Orchestra, Polish Radio Symphony Orchestra and Orchestre de Chambre de Paris. In 2016, he will premiere the new trumpet concerto by Benjamin Yusupov (which he dedicates to Reinhold Friedrich) in Interlaken. ​Numerous recordings give evidence of his comprehensive work. The latest recording with the Göttinger Symphony Orchestra under the baton of Christoph-Mathias Mueller called “Russian Trumpet Concertos” has been awarded an ECHO Classic. In 2016, Reinhold Friedrich will record again Bach’s 2nd Brandenburg Concerto with the Berliner Barock Solisten (Reinhard Goebel). Reinhold Friedrich is professor in Karlsruhe, honorary professor at the Royal Academy of Music in London and in Hiroshima/Japan. Master classes are regularely held by Reinhold Friedrich all over the world. Kristian Steenstrup graduated from The Royal Academy of Music, Aarhus, Denmark in 1992. He did his most important studies at Northwestern University in Chicago 1988-1990 and on numerous trips throughout the nineties with Professor Vincent Cichowicz and privately with Arnold Jacobs. 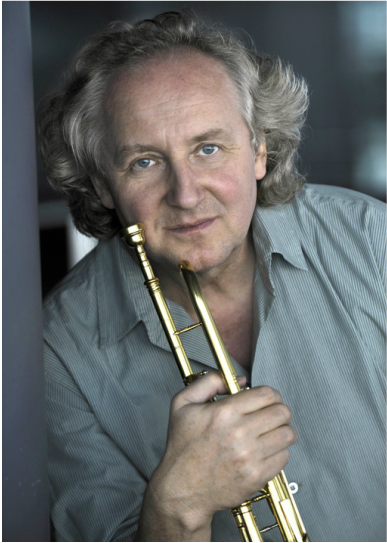 Kristian is currently Professor of Trumpet at The Royal Academy of Music in Aarhus, where he also published the book Teaching Brass in 2007 and recorded 2 CDs with Eriko Takezawa, ”Capriccio” and ”Danish Music for Trumpet and Piano”. He holds a busy traveling schedule having done masterclasses in Canada, Israel, Brazil, Taiwan, Japan, Norway, Sweden, Scotland, England, Ireland, Germany, Switzerland, Belgium, The Netherlands, Luxembourg, Estonia, Spain, and Italy. Furthermore, he has done workshops with professional orchestras in Norway, Sweden, Scotland, England, Germany and Brazil. Kristian has several masterclasses and instruction videos available for download on the Internet service playwithapro.com. Mike Lovatt studied at Trinity College of music where he was awarded the Jon Kelly Jazz Scholarship. He has performed and recorded a wide range of musical styles with many artists including Quincy Jones, Robbie Williams, Eric Clapton, The Orchestra of the Royal Opera House Covent Garden, The Royal Philharmonic Orchestra, Michael Buble, Oasis, Michel Le Grand, Tony Bennett, Toots Thielmans, Marty Paich, Johnny Mathis, The Michael Nyman Band, Michael Ball, Shirley Bassey, Michael Crawford, Danny Elfman, Joby Talbot, The BBC Symphony and Concert Orchestras, London Brass, and The Glenn Miller Orchestra. 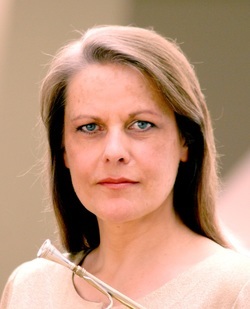 "The truly royal Marie-Luise Neunecker plays the horn with melodic grace and effortless, supple lines, something other horn players can only dream of" wrote the Berliner Morgenpost about Marie-Luise Neunecker. Hailed for her exceptional talent and virtuosity, she is widely regarded as one of the leading and most distinguished horn players of today. She has built a successful international career and is much in demand as soloist and chamber musician. 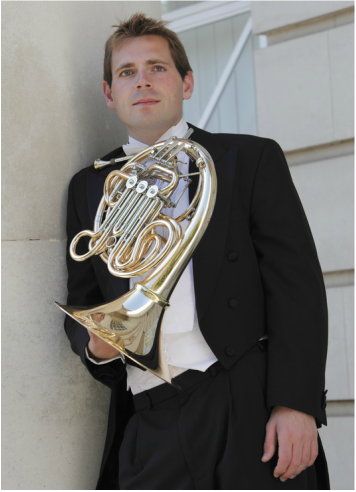 Born in 1983, Tim first heard the French horn played live at a concert at his primary school. From that moment his ambition was to become a professional musician. He is now gaining a reputation as one of the most accomplished horn players of his generation. He attended Watford Grammar School for Boys and later moved to the Purcell School. On leaving Purcell School in 2002 he won a scholarship to Guildhall School of Music and Drama. In 2004 he joined Philharmonia Orchestra as third horn and just over a year later he was appointed Principal Horn of BBC National Orchestra of Wales. 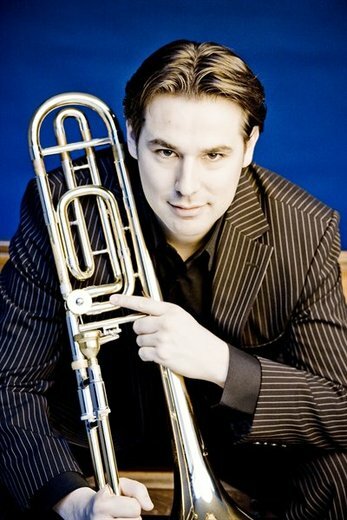 Before becoming a professional musician Tim gained extensive orchestral experience as Principal Horn with the National Youth Orchestra of Great Britain and European Union Youth Orchestra. In 2002 Tim was UK finalist in Paxman International horn competition and in 2004 he won the Royal Over-seas League award for Wind and Percussion and Philip Jones Memorial Prize for an outstanding brass player. As an orchestral player he has played Principal Horn with all the major London orchestras and with other UK orchestras including City of Birmingham Symphony Orchestra and Northern Sinfonia. He also enjoys chamber music and has performed with many ensembles including London Sinfonietta, Nash Ensemble, Fine Arts Brass and Scottish Chamber Orchestra. He has given many solo performances including a number of concertos and solo pieces with BBC National Orchestra of Wales which have been broadcast on radio and television. Tim has played in many countries throughout Europe and also across the wider world including the USA, South America, New Zealand, India and China. 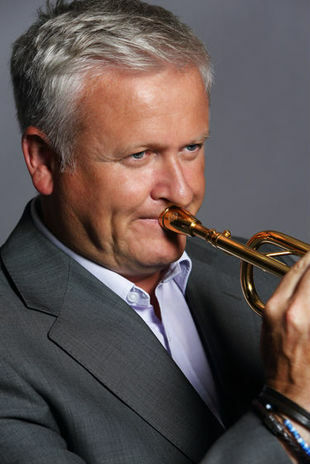 Richard Watkins is one of the most sought-after horn players of his generation. 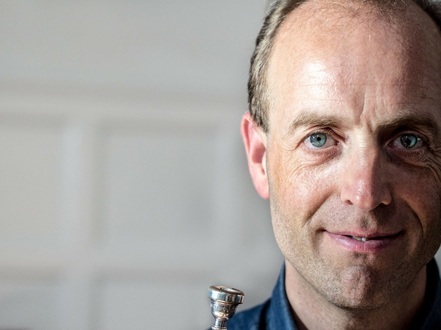 He was Principal Horn of the Philharmonia Orchestra for twelve years, and is currently a member of the Nash Ensemble and a founder member of London Winds. Richard Watkins has appeared at many of the world’s most prestigious venues in the UK, Europe and the USA, and has worked with conductors such as Giulini, Sawallisch, Salonen, Slatkin, Sinopoli, Rozhdestvensky, Petrenko,Andrew Davis and Mark Elder. His extensive discography includes recordings of the Horn Concertos by Mozart, Malcolm Arnold, Glière ,Ethel Smyth and Colin Matthews, as well as Mozart’s Sinfonia Concertante and Chamber Music for Horn by Schumann ,Schubert and Poulenc. Forthcoming releases include a disc for NMC of works written for Watkins, a Wigmore Live Disc of the Britten Canticles with Mark Padmore, Britten’s Serenade with Allan Clayton and Aldeburgh Strings and Gregson Horn Concerto with the BBC Philharmonic for Chandos. In recital, Richard Watkins regularly performs with singers such as John Mark Ainsley, Ian Bostridge and Mark Padmore, and with pianists Barry Douglas, Julius Drake, Paul Lewis, Roger Vignoles and Ian Brown. Closely associated with promoting contemporary music for the horn, Richard Watkins has given premieres of concertos by Maxwell-Davies, Osborne, Lindberg, Muldowney, Lefanu, and Colin and David Matthews. Recent premieres have included Colin Matthews’ Horn Concerto and Trio, horn quintets by James MacMillan, David Matthews and Mark-Anthony Turnage and Horn Trios by Huw Watkins, Alexander Goehr and Gerald Barry. 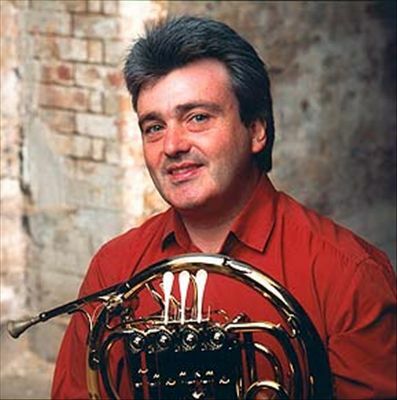 Peter Gane is one of Britain’s leading brass specialists. At the age of 16 he won an open scholarship to study the trombone at the Royal Manchester College of Music and at the age of 19 he became a member of the London Symphony Orchestra. ​A founder and former president of the British Trombone Association with many publications to his credit, Peter has earned particular recognition for his work with young people. 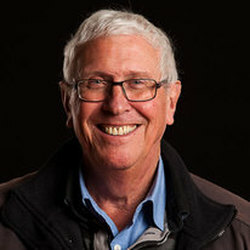 He has a long-standing association with the National Youth Orchestra of Great Britain and the European Union Youth Orchestra where he has been professor of trombone since 1977 and 1984 respectively. In 2009 Peter was acting director of the National Youth Orchestra for the summer course, Aldeburgh Festival, Royal Albert Hall prom and for the subsequent entrance auditions. As a teacher, brass specialist and conductor he has taken masterclasses and workshops in many European conservatoires and with professional groups in Germany, France, Denmark, Sweden, Norway, Spain, Holland, Austria, Italy and the US. In 1996 his international reputation was confirmed by the presentation of the Neill Humfeld Award for excellence in trombone teaching by the International Trombone Association. He became a professor at the Guildhall School in 1971, was elected a Fellow of the School in 1981 and was Head of the Wind, Brass and Percussion department from 1988 to 2008. He still contributes to the specialist brass and wind programmes at the Guildhall and remains a professor the department. He is Artistic Adviser to the Combret Music Festival, Aveyron, France. 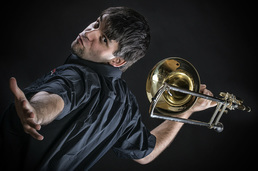 Born in Budapest (Hungary) in 1980, Zoltán was largely self-taught, developing his technique through being inspired by leading trumpet players. He attended the Chopin University of Music in Warsaw, winning a handful of national competitions both as a soloist and with chamber ensembles. 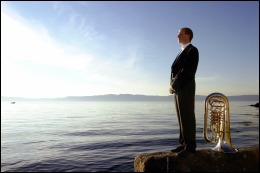 Zoltán was invited to audition for the Austrian brass septet Mnozil Brass in 2005, for which he now tours the world performing in over 100 concerts per year. He has released three albums to date including Slideshow (2010), Rebelión (2011), and Non-Stop (2014). In 2014, Zoltán was appointed as International Trombone Tutor for the The Philip Jones Centre for Brass (Royal Northern College of Music) in Manchester, United Kingdom. ​Zoltán plays exclusively on his signature trombones, Kissbone and KissboneX, designed in collaboration with Austrian maker, Schagerl. His self-designed ‘Zoltán Kiss’ edition mouthpiece is produced by Latsch Custom Brass in Germany. 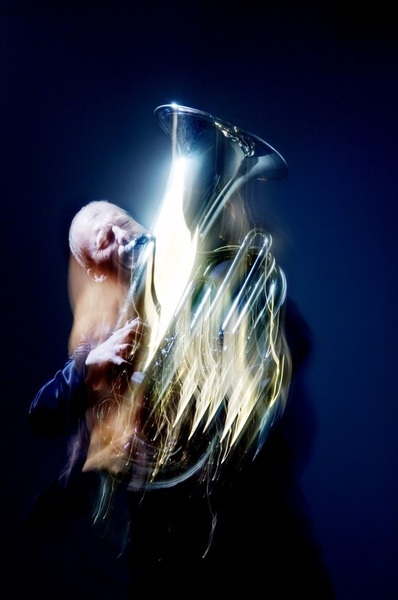 Øystein Baadsvik is the only tuba virtuoso to have carved out a career exclusively as a soloist, rather than becoming a member of an orchestra or accepting a teaching post. His multi-faceted musical career as a soloist, chamber musician, lecturer and recording artist has taken him all over the world. The unique virtuosity and musicality Mr. Baadsvik’s brings to the tuba has established him as the exemplar of the instrument. He studied under the celebrated tuba player Harvey Phillips, Distinguished Professor meritus, Department of Music, Indiana University and with the legendary Arnold Jacobs, who had a forty-year career and position of Principal Tuba with the Chicago Symphony Orchestra. Øystein Baadsvik’s international career began in 1991 when he was awarded two prizes at the prestigious Concours International d’Exécution Musicale in Geneva. His international engagements include performances with orchestras such as the Oslo Philharmonic Orchestra, Bergen Philharmonic, Warsaw Philharmonic Orchestra, the Taipei National Symphony Orchestra, Singapore Philharmonic, and the Orchestra Victoria of Melbourne. Baadsvik has performed in some of the most famous venues in the world and 2006 made his New York recital debut at Carnegie Hall. He works constantly to expand the musical aspects of the tuba and has premiered some forty solo works by composers from the USA, Russia, Sweden, Norway and Switzerland. In this ongoing process he has developed new tuba-playing techniques that have been used in a number of more recent works for the instrument.